One-Way Mfg. is an AS9100 D and NADCAP accredited company equipped for development & drafting, and manufacturing. One-Way, located in southern California in Anaheim, has been providing manufacturing, design, and fabrication services to a broad range of clients in the aerospace, industrial, stationary power generation, medical, automotive, and nuclear application industries for over 40 years. Our manufacturing departments include Tube bending / Swaging (Fittings and Tubing) / Machine Shop / Welding / Full Assembly / Testing. Our full service capability allows our customers to focus on the “big picture” while we handle the sub-assembly details. Take a look at some of our finished assemblies in the Product Gallery. One-Way Manufacturing, Inc. has over 80 years of combined engineering experience, ranging from Automotive to Aerospace. Our services are ideal for both low quantity, quick-to-market demands, and high volume, long-term production programs. 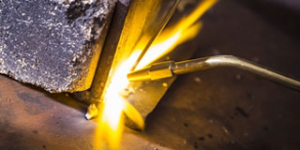 As a one-stop shop for your manufacturing needs, we are able to forward or reverse engineer your product, quickly evaluate, develop the fabrication process, and then complete fabrication for timely turnaround while surpassing quality requirements. These capabilities offer the flexibility you require for rapid prototyping, limited production runs, or higher volume production. 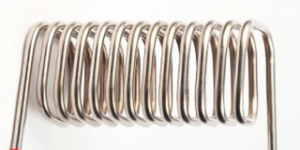 One-Way Manufacturing will meet and exceed your tube fabrication and assembly needs in Southern California and throughout the global marketplace. 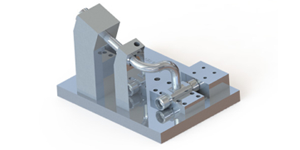 Contact us today to request a quote for your tube bending, fabrication, and assembly needs. Have some questions? Want to learn more about our manufacturing services? Do you have a project already? We can help. Submit a Request for Quote using the link below.